Go walking through a winter wonderland. 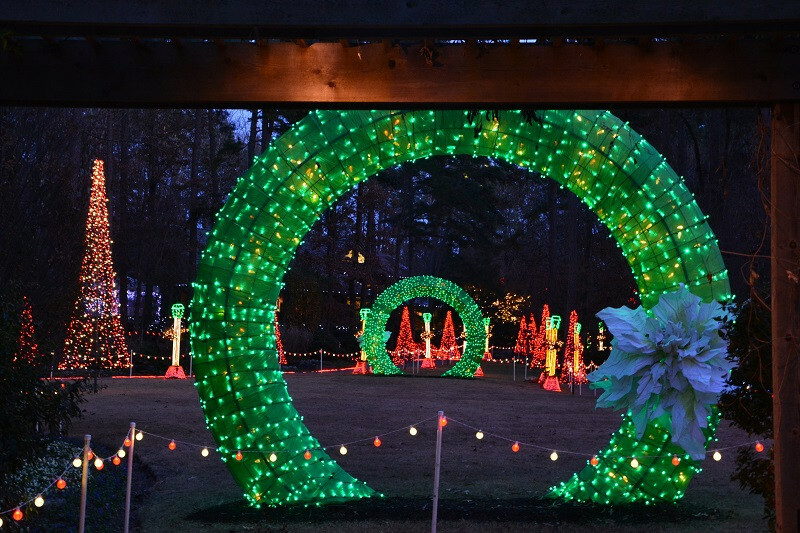 It's the holiday season, which means it's time to see one of the most glorious light displays in all of Arkansas, right down the road in Hot Springs! Garvan Woodland Gardens goes all out each Christmas season with a display of more than 4.5 million lights, including a 50-foot tall tree that plays holiday tunes animated to a light show. We know you don't want to miss it, so Leap Kids Dental is helping us give away a six-pack of tickets to the Gardens! The gates open at 3 p.m. and the lights are on daily from 5-9 p.m. through Dec. 31. The Gardens are only closed on Thanksgiving and Christmas day. While you're there, you can stop at Chimpunk Café for soups, sandwiches and snacks. Check Garvan Gardens' website for free concerts and events during the month and for information on parking and other details. To find out where else you can see some of the best holiday lights in central Arkansas, check out this article.